This secluded complex opens directly onto a white-sand beach on the west coast of Barbados, a 2-minute drive from Speightstown. 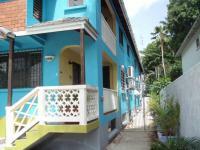 Apartments have a patio or balcony overlooking the sea or gardens. 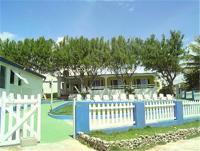 Palm Paradise Guest House and Apartments is just a 4-minute walk from Paynes Bay Beach, on the west coast of Barbados. It offers an outdoor pool and tropical gardens with a gazebo. Located on the South Coast of Barbados and less than a 5-minute walk from the celebrated Accra Beach, these apartments feature patios overlooking a tropical garden. Free in-room Wi-Fi is also provided. Standing on the southwest shore of Barbados, these Saint Lawrence Gap apartments are within a 5-minute walk of 3 white sand beaches. Free Wi-Fi is offered in common areas.